In the next installment of the New York Times bestselling Throne of Glass series, follow Chaol on his sweeping journey to a distant empire.Chaol Westfall has always defined himself by his unwavering loyalty, his strength, and his position as the Captain of the Guard. But all of that has changed since the glass castle shattered, since his men were slaughtered, since the King of Adarlan spared him from a killing blow, but left his body broken.His only shot at recovery lies with the legendary healers of the Torre Cesme in Antica--the stronghold of the southern continent's mighty empire. 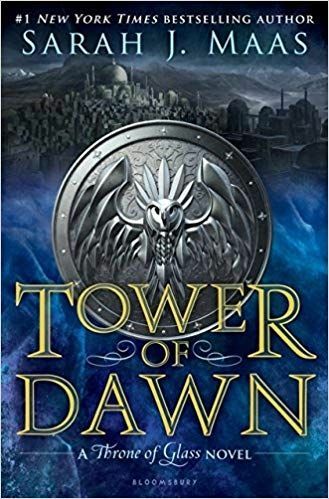 And with war looming over Dorian and Aelin back home, their survival might lie with Chaol and Nesryn convincing its rulers to ally with them.But what they discover in Antica will change them both--and be more vital to saving Erilea than they could have imagined.